Entering a new market as a business can be challenging, especially if your resources are limited. Fashion search engine Fashiola launched in the Netherlands in 2012 as Kleding.nl and has since expanded globally to Germany, UK, Spain, France, Italy, Poland, Portugal, Sweden, Denmark, Brazil, Australia and Mexico. We sat down with CEO Peter Langenkamp to find out what Fashiola’s strategy is for expanding into new markets, the biggest challenges they’ve faced and his advice for fellow publishers. Can you tell us a bit about Fashiola – who you are and what you do? Fashiola is a fashion search engine. We are now five years in business, in 16 countries, the 17th is just launching. Aggregating products from more than a thousand online fashion retailers, and reaching them, making them searchable for our visitors. On top of that we create content, write blogs, do reviews, are active on social media, create teams to inspire people that visit our site and give them insights in what the trends are and what the best products are to buy at that time. We launched the kleding.nl app in the Netherlands two years ago and last year we launched the Fashiola app, which is the fashion finder in each country. The good thing about the app is that we integrated push notifications for sale alerts, so whenever a product that you like is going to be reduced, you will get a push notification immediately so that you can buy it at the best price. What was your strategy for expanding into new markets? We usually look at the KPIs of the countries. So, is there a very strong online market for us, for a fashion retail? We also use the Awin platform to see what advertisers there are, we use Google data to see what’s being done in Google in terms of advertisers but also in searches. And all of that combined makes us decide to move into new markets. We usually mix that with emerging markets and established markets to have markets that we can grow fast in but also markets that are already big which we can grow into. Our approach always is we want to be as local as possible. We are not looking to have offices in all of the countries that we operate in, so we have one office in Amsterdam now, which was a very big step in moving forward into more countries because Amsterdam is a really international place so we can find international people more easily. But still, we have quite a list of wishes for new employees: they have to be into fashion but also into online marketing, a bit technical, be able to write content and do the social media. It’s people doing the job on the one hand, on the other hand we always have issues with getting the right shops connected, getting the feeds and the product data that we need to integrate them into our platform. 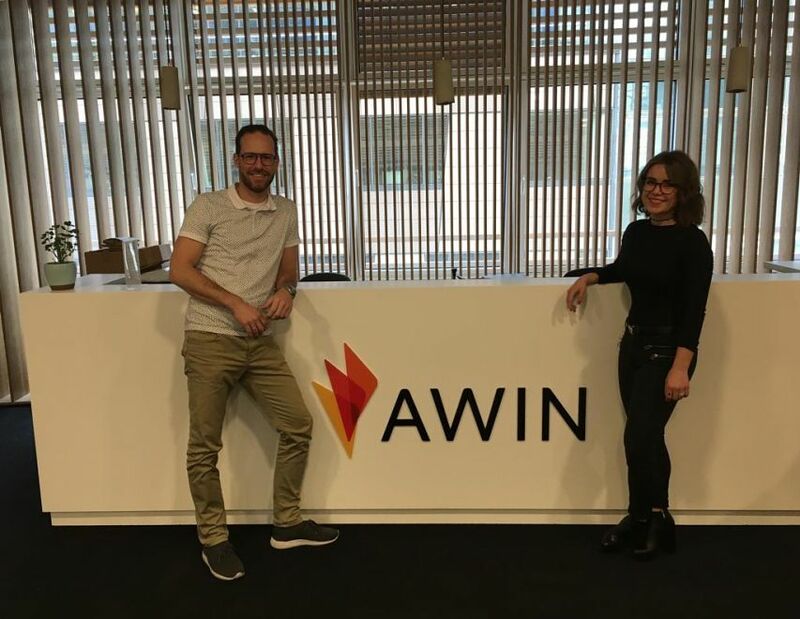 But with the help of Awin but also with smart techniques that we develop ourselves we are able to roll out to most of the countries that we want to roll out to. How has Awin supported you with your international expansion? We have a global team supporting us: they can give us insights in the markets; they also can introduce us to the local team in the market, making sure that they know what Fashiola does and they can also tell a bit about the performance in the other countries so, what the advertisers can expect from us in the news country where we obviously are unknown as a brand. So that’s really good to have that support. Also, we agreed to have promotional marketing packages. We are, I think, on a daily basis in touch with each other, talking about things that can be improved or new advertisers that are launching in the countries that we are in and that helps us a lot so that’s really a good cooperation. What advice would you give to fellow publishers who want to enter new markets? Analyse your data: I would say it’s really important that you analyse your data. Use the data that you can get from Awin or any other partner that you have to see if a new country is going to be worthwhile growing into. Be patient: It also takes patience because it’s just like every other company: you have to invest before you can earn it back and it depends on what the business model is how long that takes. Every market is different: When we went to Germany for instance in 2013, in the first months we had really nice revenues there and then we saw that the return rate was much higher than we expected because it’s different from Holland. So, you really need to pay a lot of attention to the local trends, local culture and things that are different in those countries that can affect the business. Take a local approach: I think local approach is really important, we always have a local speaker for each country that we have, although they are in Amsterdam, it’s still a local. They know about the country, they speak the language, they can reach out to clients and advertisers and also the affiliate networks that we want to work with. It makes it much easier to move into a new territory. Instead of trying to do everything in English, it’s better to do it in the local language. Face-to-face contact: And the last thing I would say is meet the people you want to work with, not only by phone and email but also face-to-face, it’s the best way and from that, you build up the relationship and you will be able to be more successful together than by doing everything alone, from a distance. For partnership enquiries, contact Ines Filsack.